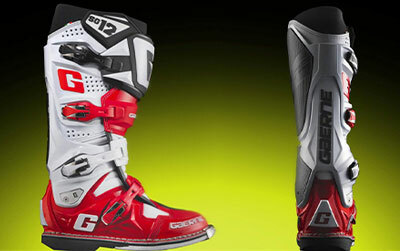 The SG12 is the most advanced motocross boots model from the Italian manufacturer. 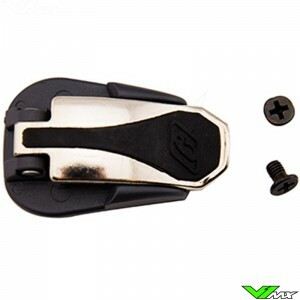 It has unique technical features that increase protection, such as the Razorback hinge system and the strong protection plates. The Gaerne SG12 is used by professional riders in the world championship motocross and American supercross, because of the excellent performance. The SG12 is worn by many professional riders, from MXGP to Enduro Championships. Among these riders are Zack Osborne, Shaun Simpson, Jeremy Seewer and Arnoud Tonus. Another rider who prefers these boots is James Stewart. After testing several different brands and models, James Stewart has chosen to ride with the Gaerne SG12. The SG12 are relatively stiff and offer a lot of support, an important feature for professional riders. 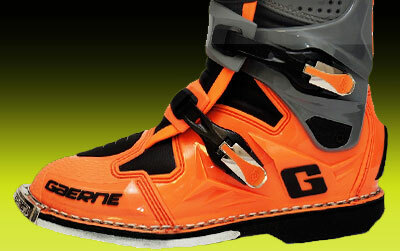 All Gaerne motocross boots are produced at their factory in Italy. This way you are assured of that excellent Italian quality. 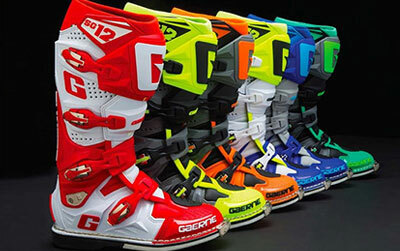 The company has worked for two years on the development of these innovative motocross boots. During the process a lot of cooperation with riders took place. Gaerne has used the valuable feedback from riders to improve the performance. In addition, Gaerne uses the best materials to offer unrivalled protection, comfort and durability. The most important features are explained below. Gaerne has placed memory foam around the ankles, which ensures a personal fit. 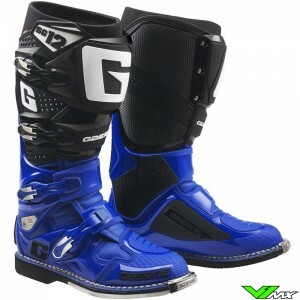 Among motocross riders, this is one of the most valued aspects of this Gaerne SG12. The moment you put these on you will notice the comfortable fit. For riders with a wide foot it will feel tight around the ankle when entering the boots, but as soon as you have the foot completely in the boot it will provide an excellent fit. The latest version of the SG12 has a thinner design at the toe box. This makes it easier to control the dirt bike, because you have more control over the gear pedal. A grip pattern on the nose offers additional control over the gear pedal, even in muddy conditions. This boot has one of the most wear-resistant and strong toe boxes of all motocross boots available. On the front a steel nose piece is added, which ensures unmatched durability. 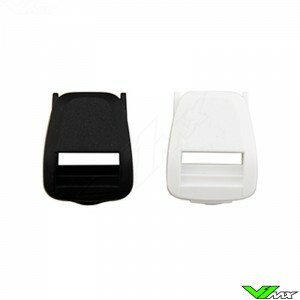 The thick plastic around the sole is very durable and provides excellent protective properties. The Gaerne SG12 is designed to last. 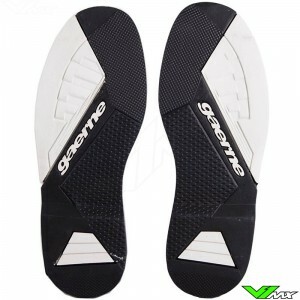 The medial side of the Gaerne SG12, the side in contact with the dirt bike, has a lot of grip thanks to multiple grip panels. The grip panels are made of a wear-resistant dual compound which is specifically composed by Gaerne for this application. 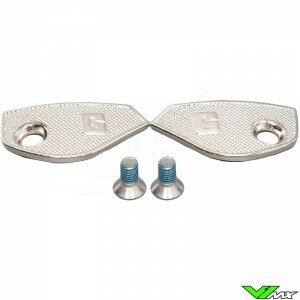 Protection against the heat of the exhaust is provided by the heat resistant materials on the medial side. Another excellent feature of the Gaerne SG12 are the buckles. The buckles are easy to use thanks to the innovative design. Each boot has 4 buckles divided over the length of the SG12. This ensures a good attachment around the foot, ankle and lower leg. 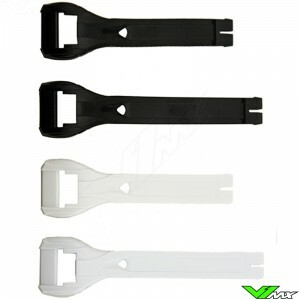 The buckles are made of impact resistant material and can therefore take a beating. If it is broken after a crash, you can easily replace it. The buckles are available in the V1mx webshop. The SG12 has many protection areas, one of the most important one is the ship plate. The shin plate is adjustable for a custom fit. This is especially useful for riders who wear a knee brace. You can expend the opening which allows you to wear the knee brace inside the boots. This features is also great for riders who have a broad or thin calf, because you can adjust the boot to get that perfect fit. To adjust, you only need to loosen 3 screws per boot, then you can mount the shin plate in 3 positions. 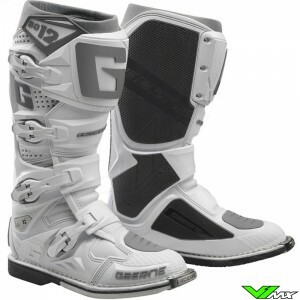 Above the shin plate is a unique gaiter with great features. The Gaiter of the SG12 is made of Acronos. The advantage of this material is the elasticity. It ensures a perfect closure of the top, so that mud and sand will not penetrate the boots. Acronos is a breathable material, so hot air will flow away. Fresh and cool air will be supplied via the ventilation channels on the side. 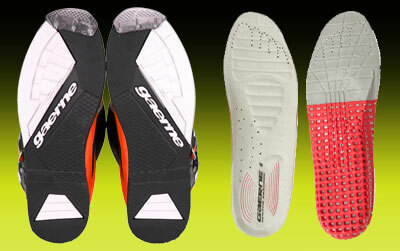 Gaerne made the soles of a dual-compound rubber. It is specifically designed for offroad conditions to provide good shock absorption and durability. 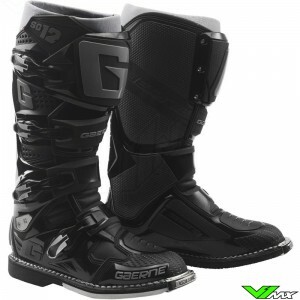 These advanced motocross boots are a big investment and therefore it is a good thing that the SG12 soles are replaceable. The soles can be ordered in the webshop. Replaceable soles are an advantage of the expensive segment of motocross boots, since it allows you to extend the lifetime of the boots. Replacing the soles can be done by a shoe repair shop. 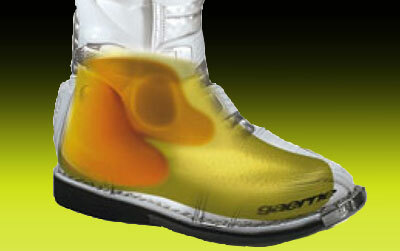 Besides the outer sole there is also an footbed inside the Gaerne SG12 motocross boots. The footbed is designed for maximum comfort and performance. 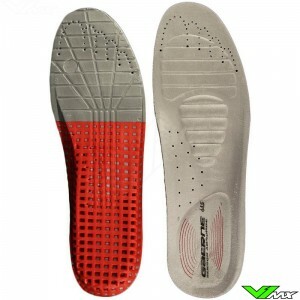 It has an anatomical shape of the foot, this way forces are better distributed and it offers the rider better balance. Shock absorbing material is used, along with several ventilation holes to provide cooling and comfort. 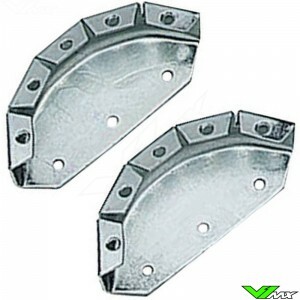 The SG12 footbed can be replaced and ordered in the webshop of V1mx. 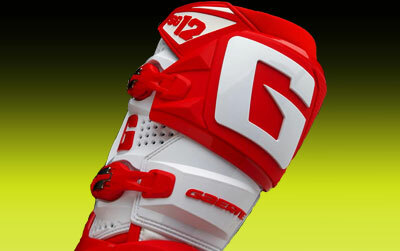 The Hinge system is one of the most important parts of advanced motocross boots. This is the main feature that makes these boots more expensive than the boots for novice riders. Gaerne has equipped the SG12 with a double hinge system that provide ground-breaking levels of support, protection and flexibility. Around the ankle is a hinge point that, in addition to rotation, can also move in the longitudinal direction. The pivot point on the ankles is attached on the Razorback. The Razorback is a component which is designed to offer flexibility. The unique system keeps your ankle and feet in the right positions and absorbs forces in case of a crash. The SG12 offers excellent freedom of movement to the forward and backward direction, these movements are essential for riding on a dirt bike. The Razorback system prevents movements in the lateral direction, because these can be harmful to your ankle. The two components work perfectly together to protect the rider. The SG12 sizes are true to shoe size. The boots don’t fit correctly? No problem at V1mx. We have a cooling off period of 30 days, so you have enough time to exchange or return the motocross boots. 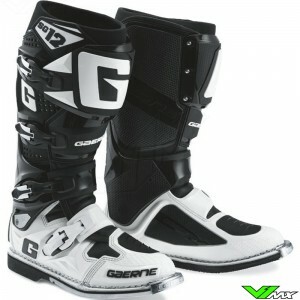 Gaerne produces the SG12 in size 41 to size 49. Do you want to buy new motocross boots, but do you have a question about placing an order or about the technical features of the motocross boots? Feel free to contact V1mx, we are happy to help you. We have a lot of motocross experience and knowledge of the protects, so that we can offer our riders the best products and advice.